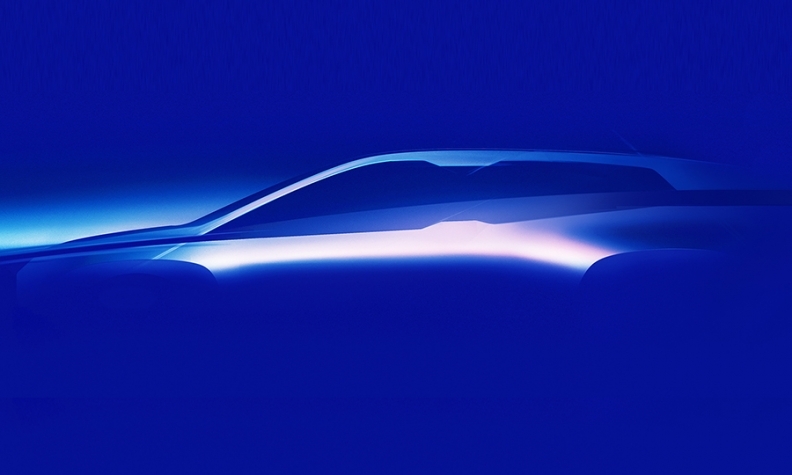 BMW released this sketch of the iNext concept. MUNICH -- BMW offered a glimpse of its futuristic self-driving iNext car as the automaker seeks to gain momentum in the race to overtake rival Mercedes-Benz in luxury sales. The company will offer a more concrete concept of the vehicle this year, CEO Harald Krueger said Thursday at the company's annual shareholder meeting. More models will follow the iNext, which is due to enter showrooms in 2021, Krueger said. "For the first time, we are combining all key technologies for future mobility," Krueger said. "The iNext is fully electric, fully connected, and enables safe, partially autonomous driving." BMW is looking to rekindle consumer excitement after a few subdued years that saw Mercedes take the lead in luxury car sales with a revamped model lineup featuring vehicles such as the GLC SUV and a reworked sporty A class. Through April, BMW's global brand sales grew 2.5 percent, while Mercedes' registrations were up 13 percent. To recapture its drive, BMW is bringing out a record 40 new and refreshed model unveils, half of which will come to market this year with a focus on popular SUV models like the all-new X2 compact. As the company rolls out its record model offensive, it is also ramping up its EV production in the face of increased pressure to meet emissions targets. To finance the costly investment spree that's raising r&d outlays to record 7 billion euros ($8.3 billion), BMW is bookending its push with high-end vehicles such as the 8 series, which will be available in six derivatives including the M8 Gran Coupe. "In a complex, fast-paced world, there are no easy answers," said Krueger. "Commercial success cannot be taken for granted -- especially over the long term."